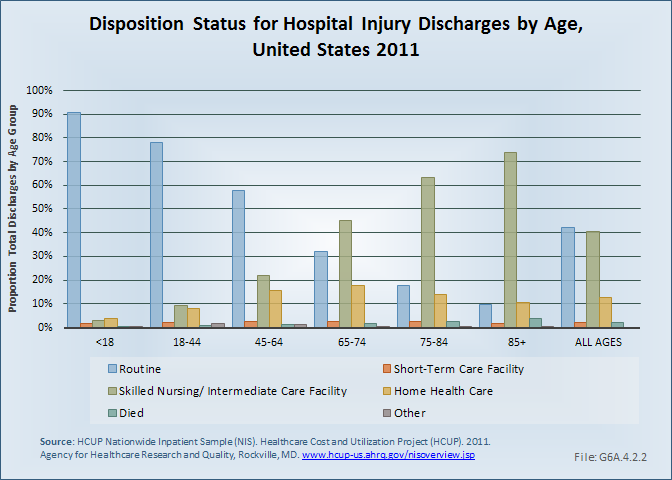 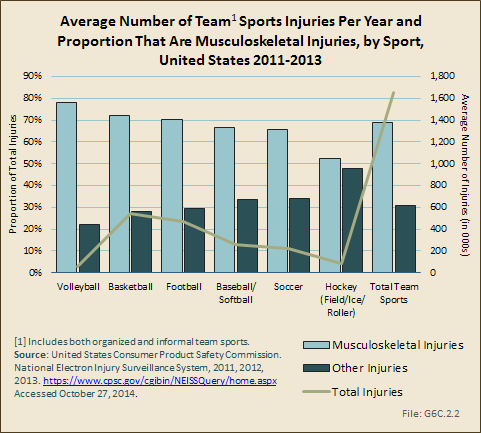 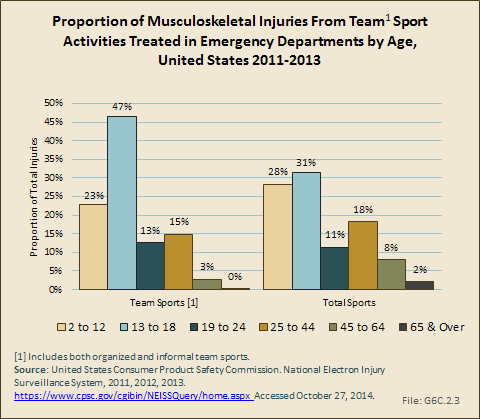 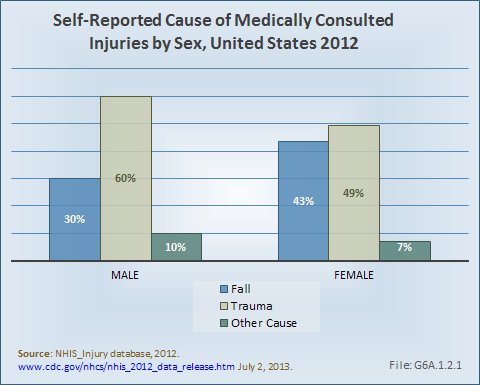 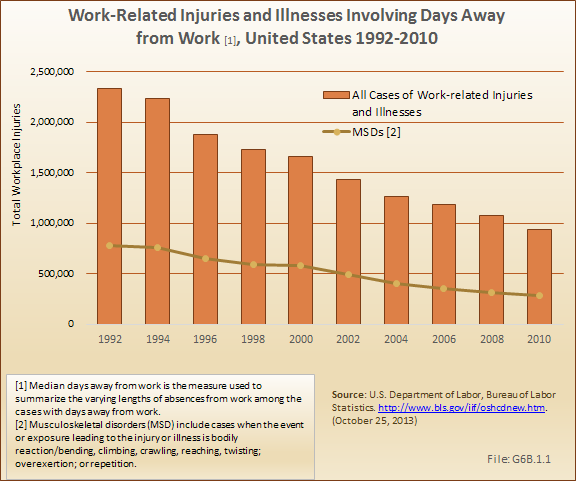 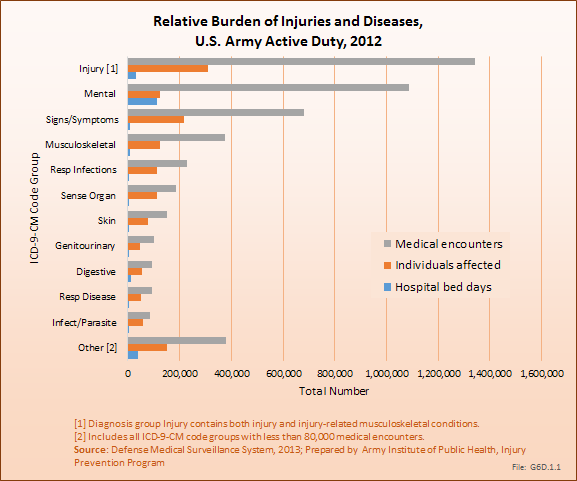 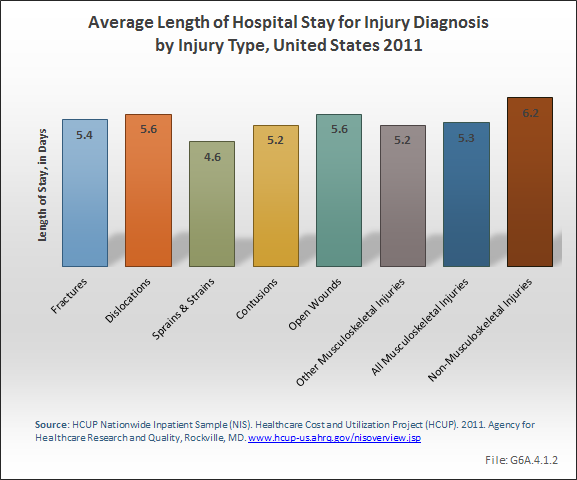 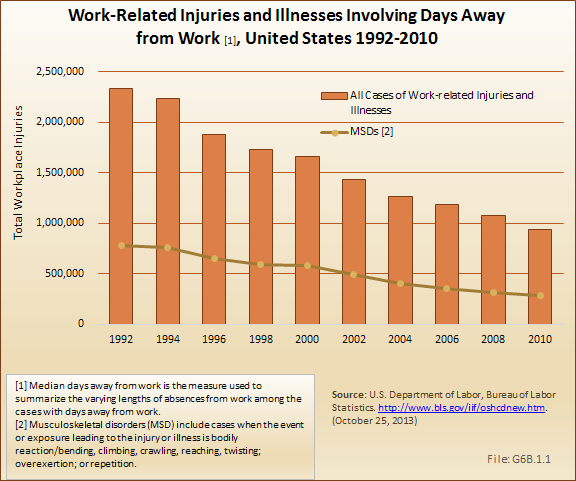 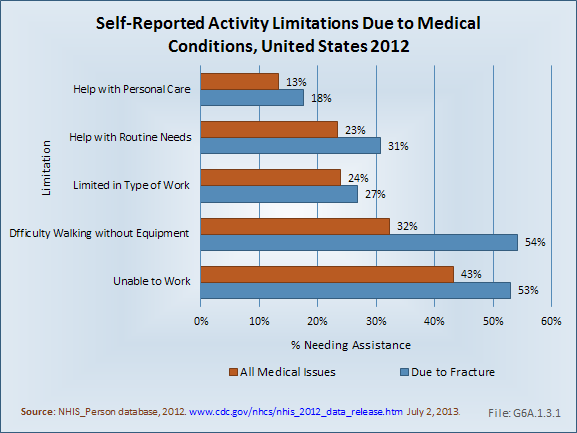 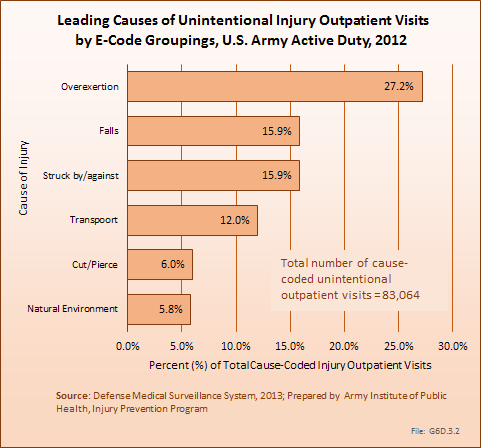 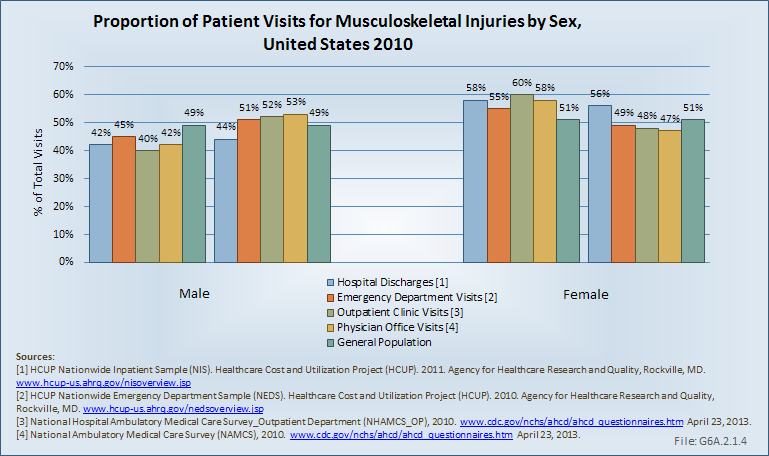 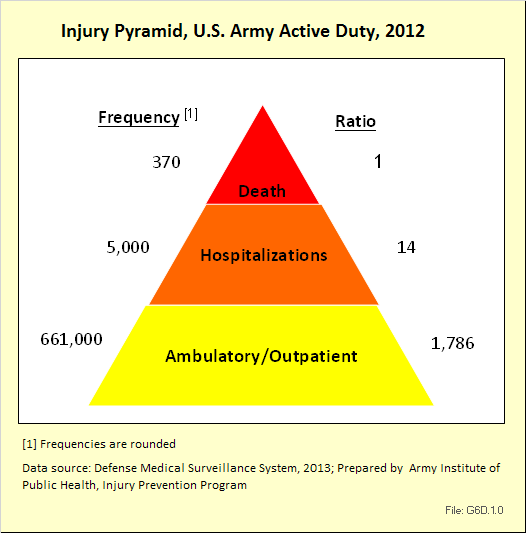 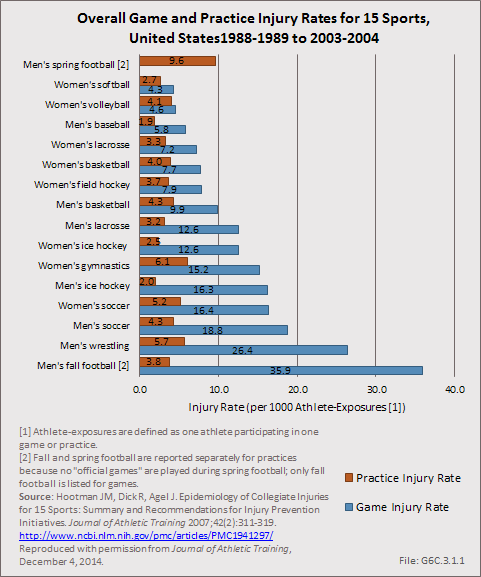 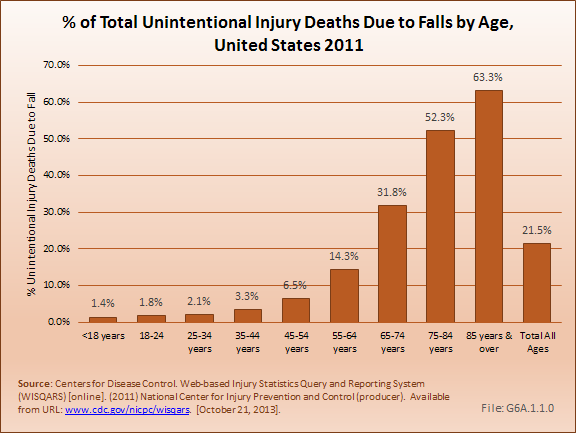 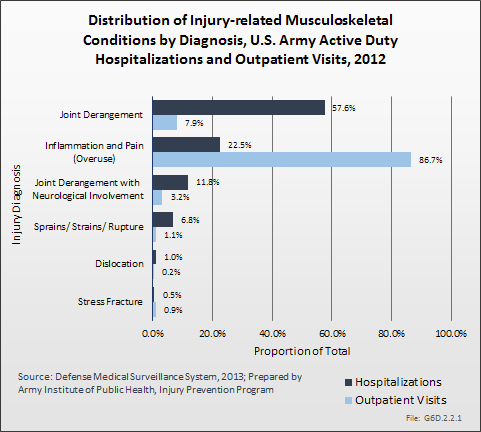 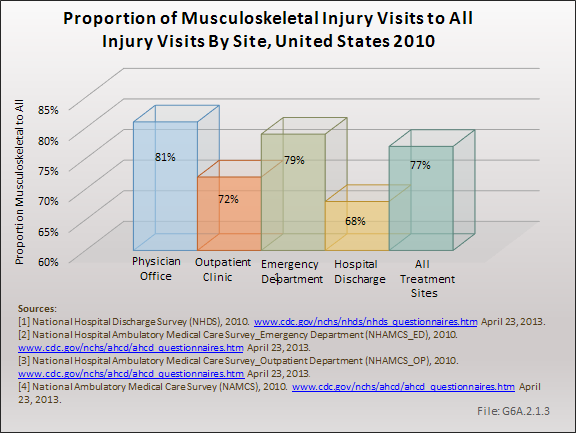 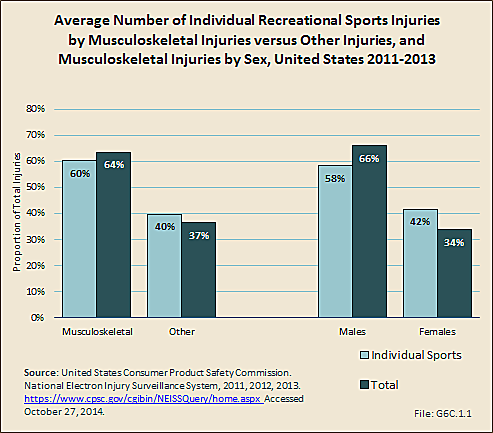 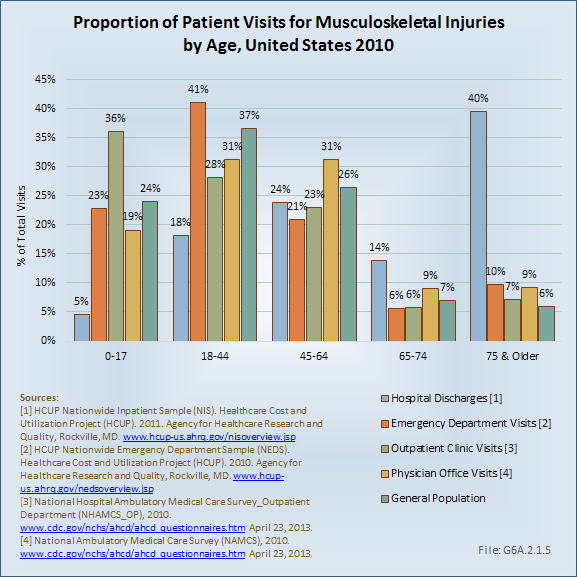 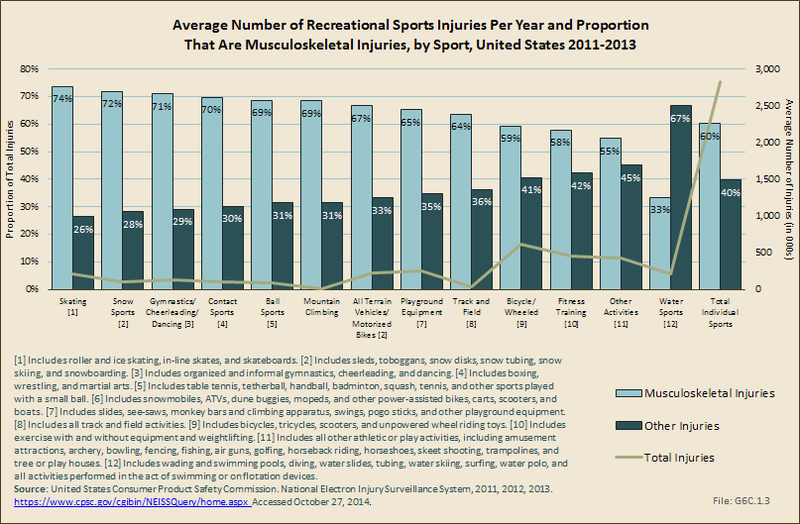 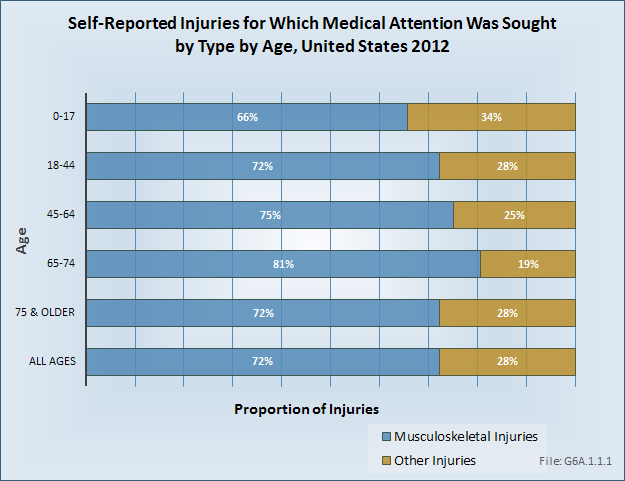 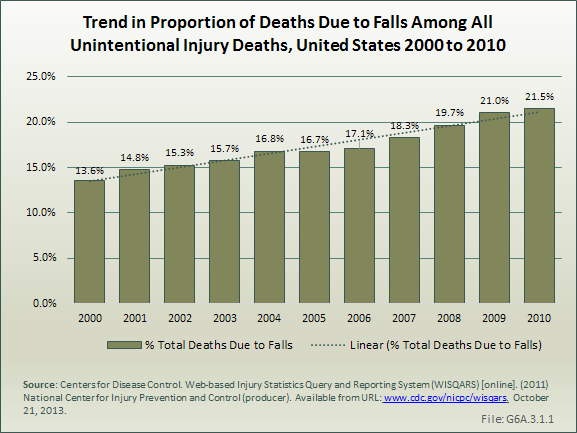 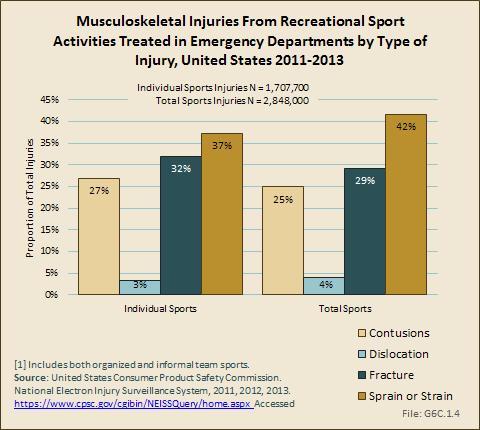 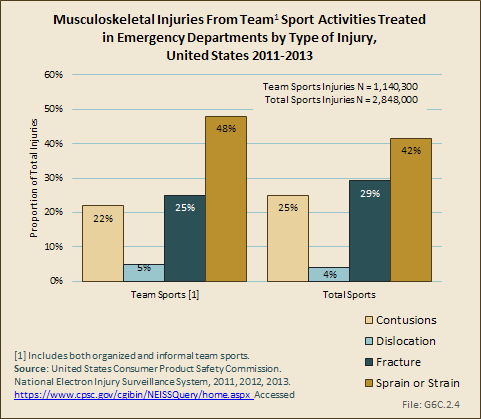 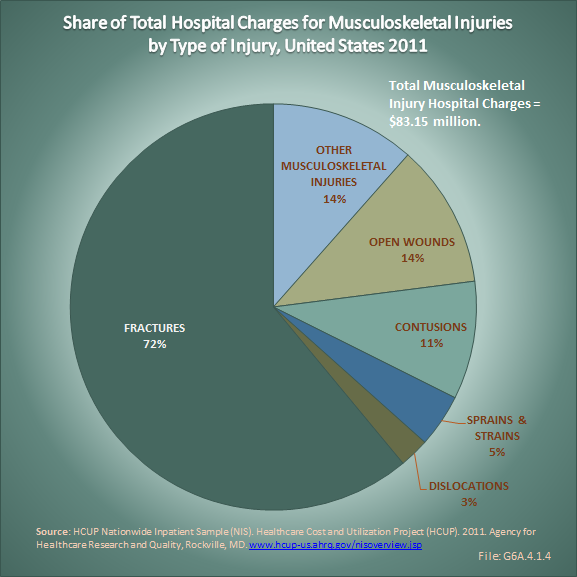 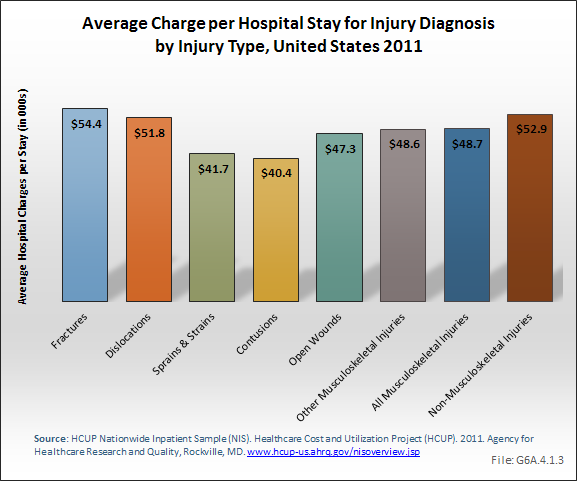 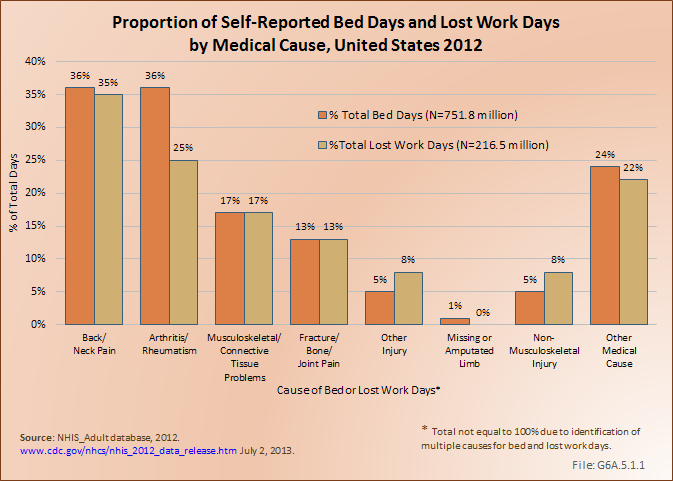 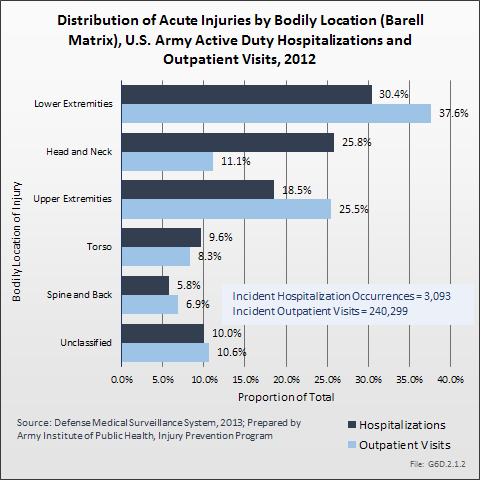 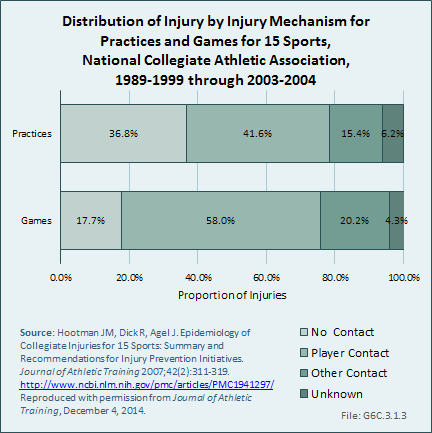 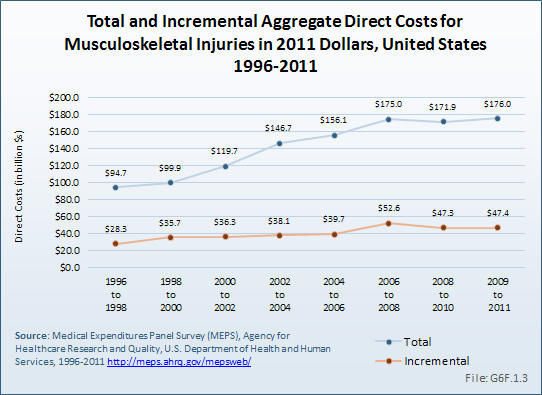 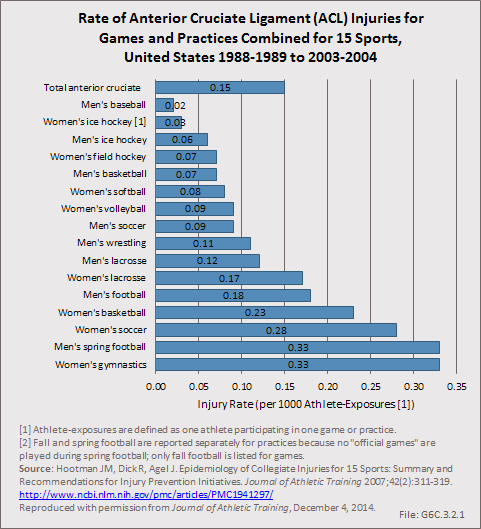 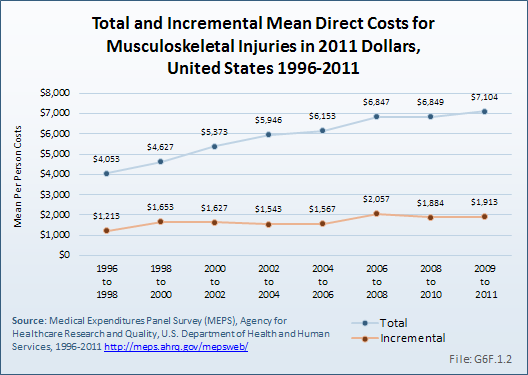 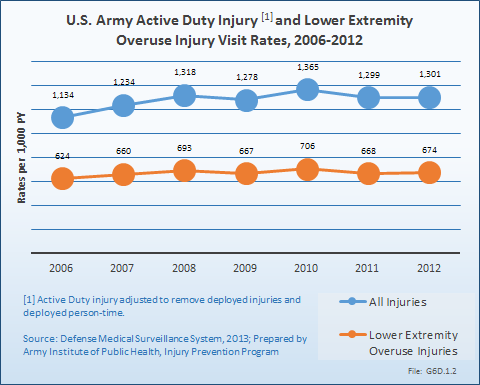 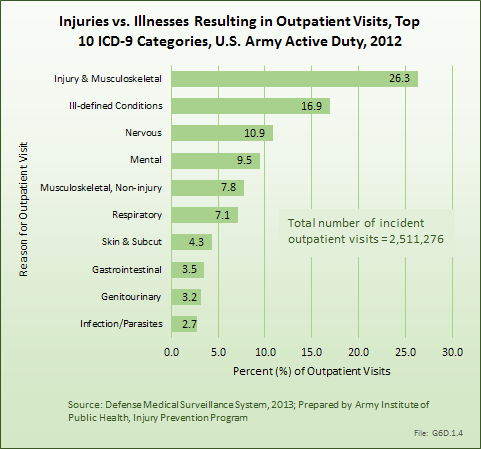 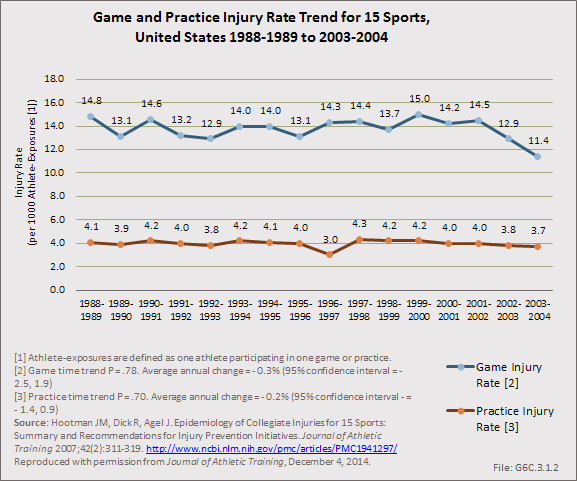 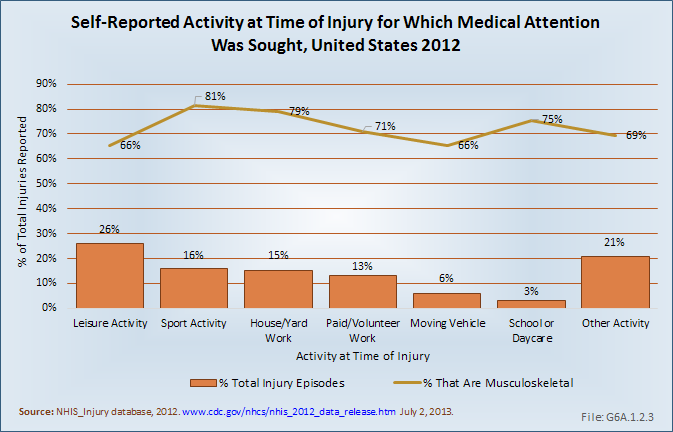 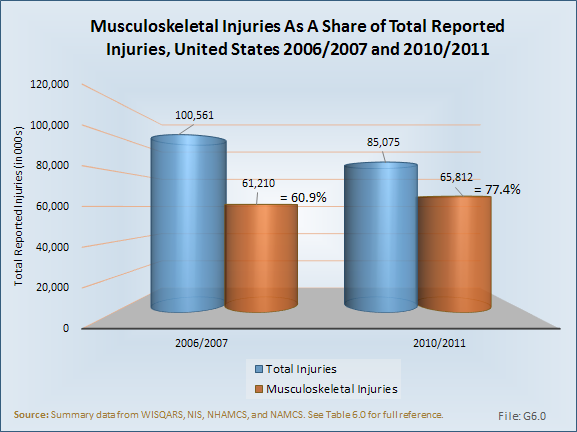 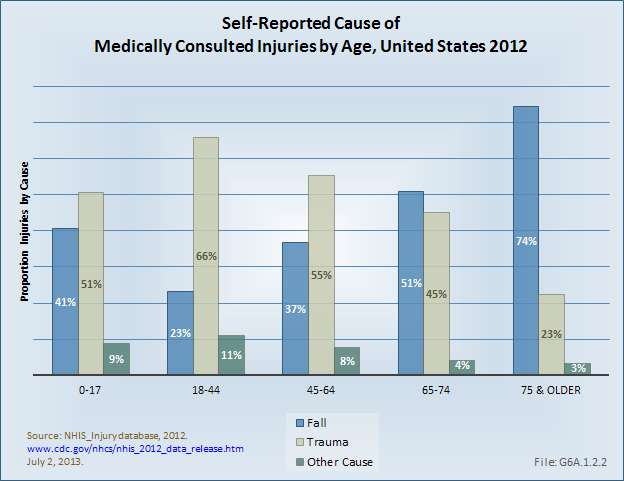 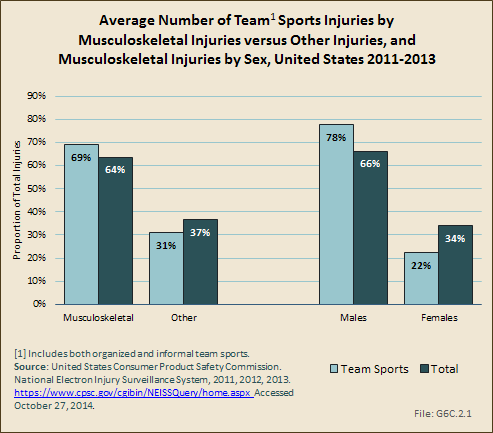 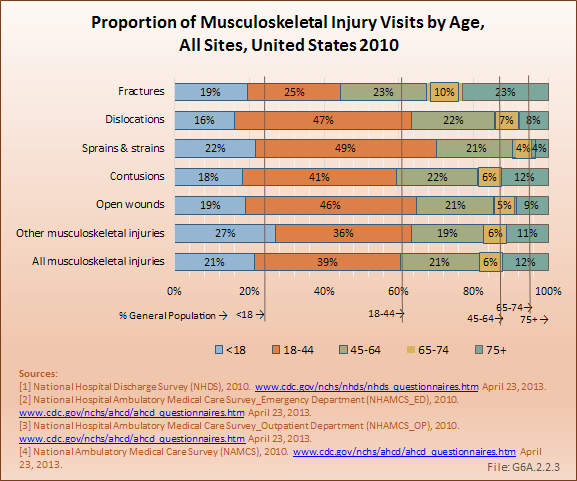 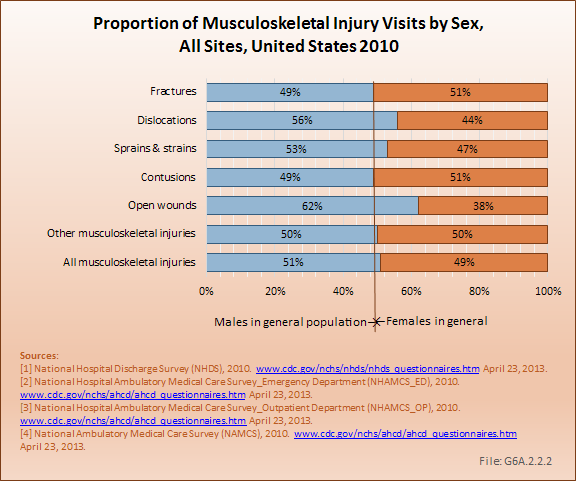 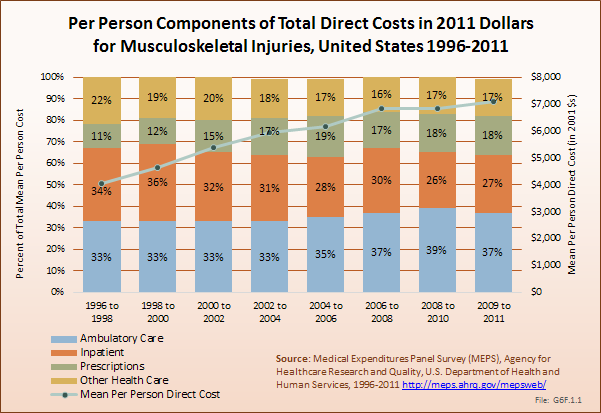 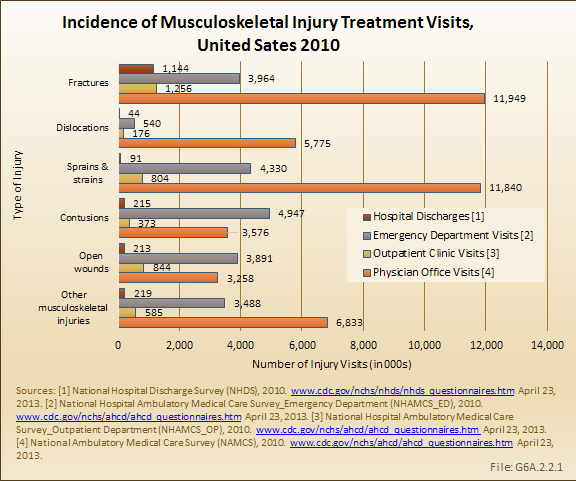 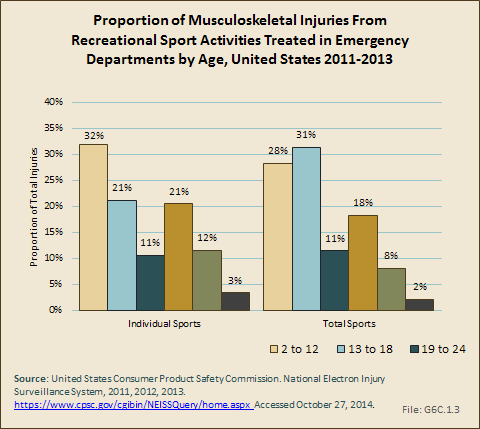 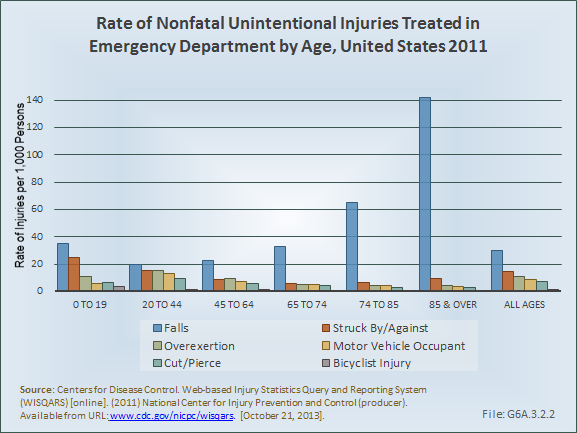 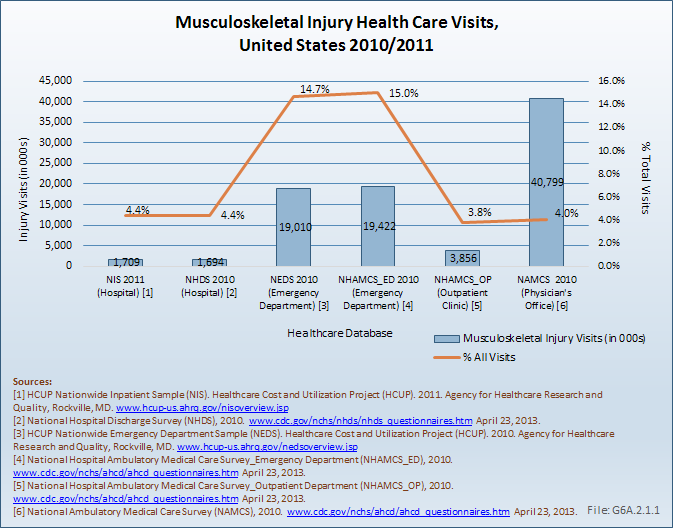 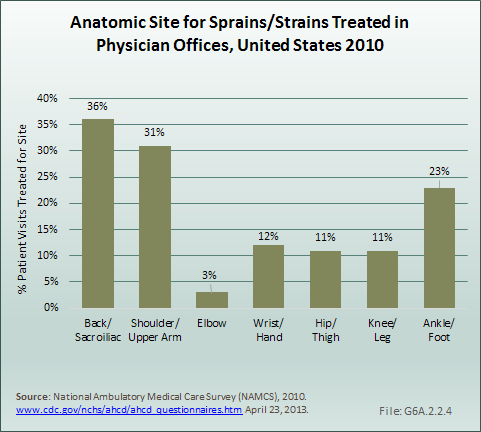 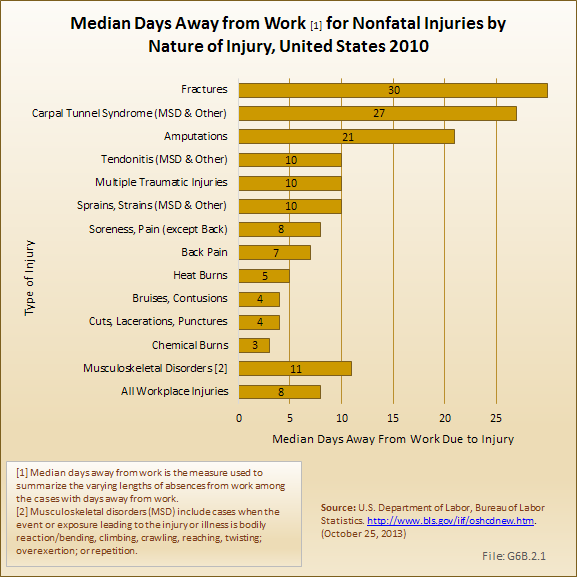 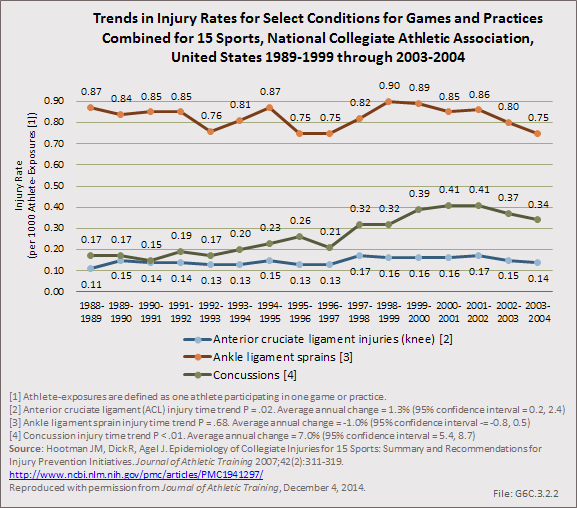 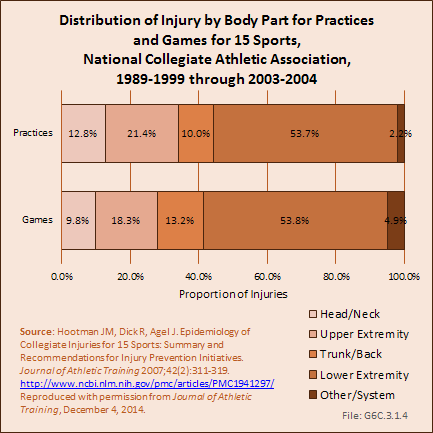 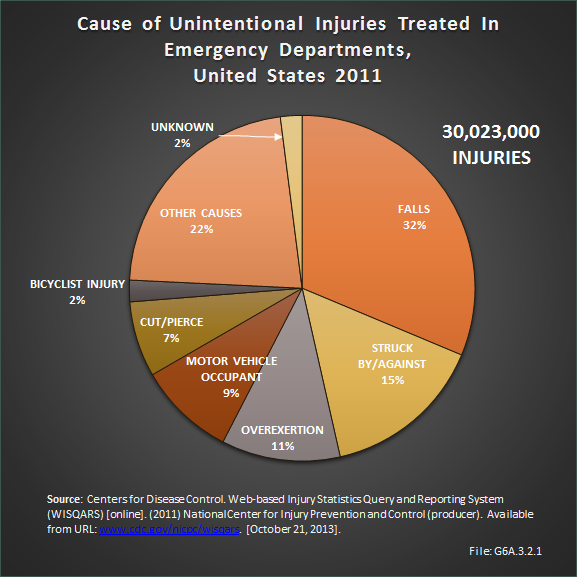 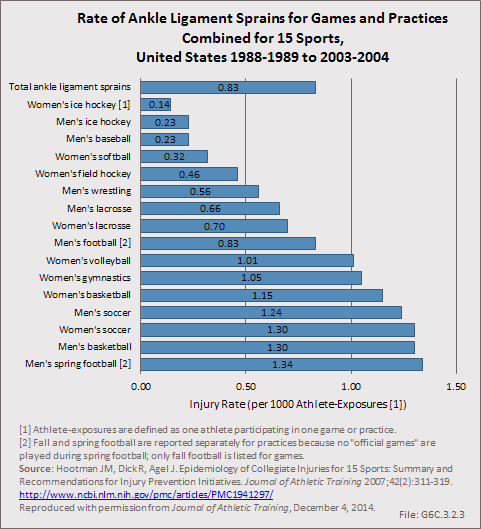 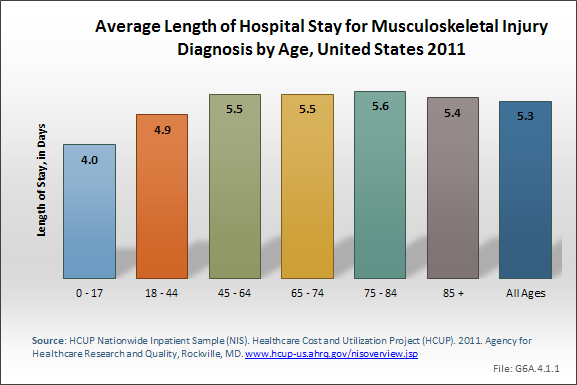 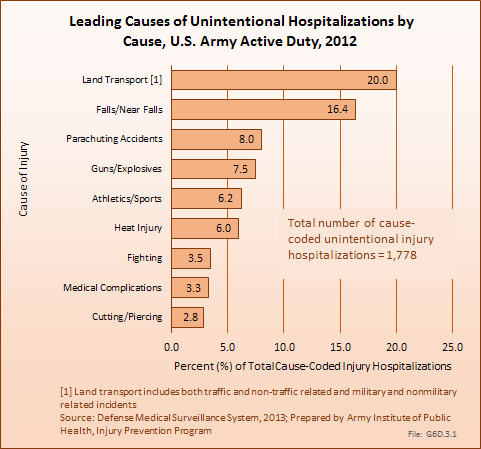 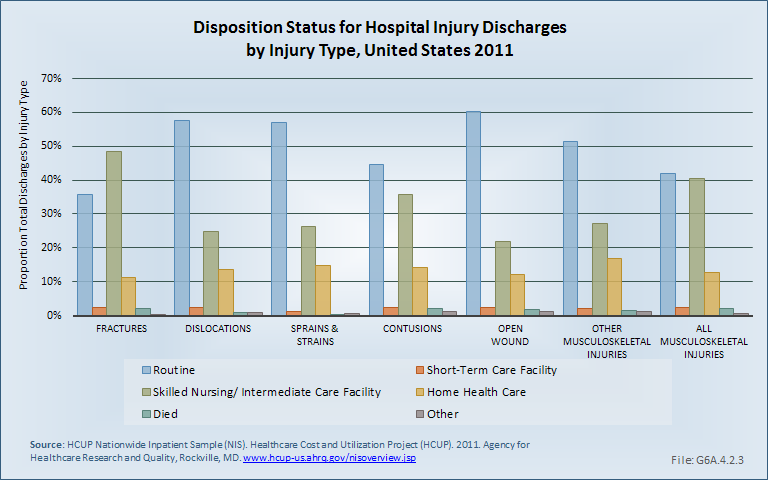 Health care treatments and visits contribute to the burden of musculoskeletal injuries. 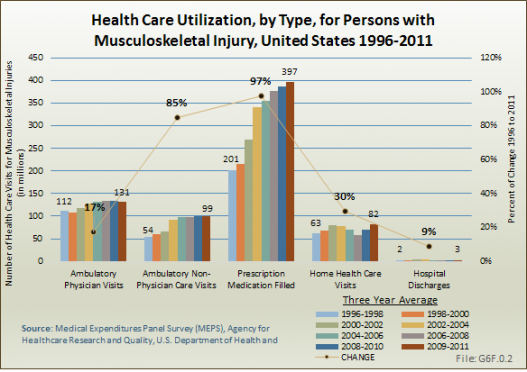 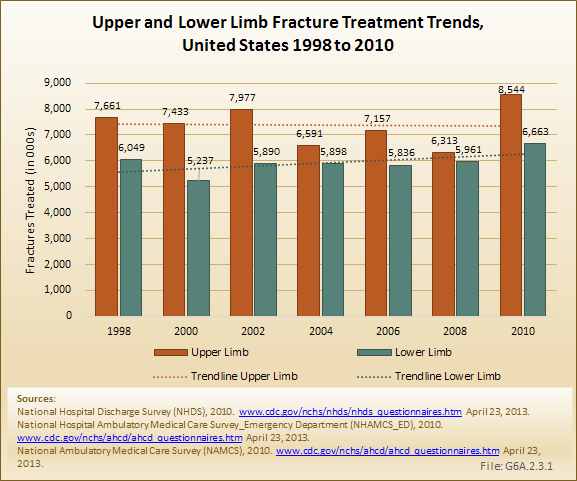 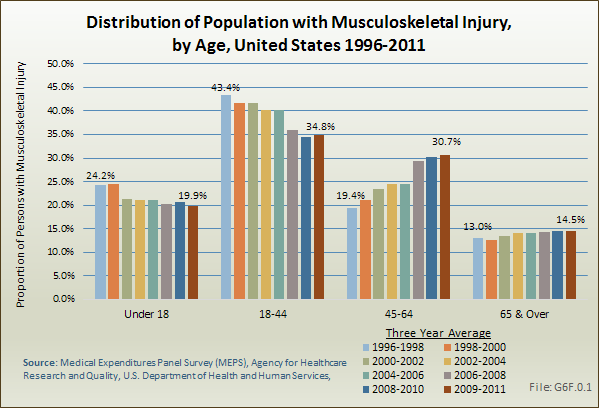 Ambulatory health care visits for musculoskeletal injuries rose by 85% between the years 1996-1998 and 2009-2011, from 54 million to 99 million visits. 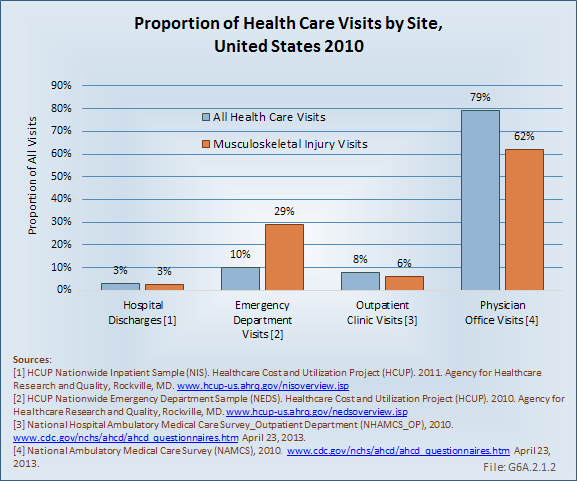 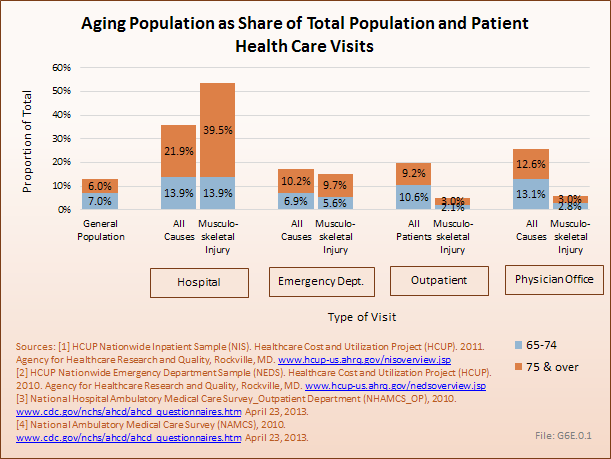 However, physician office visits continue to account for the largest share of treatment visits. 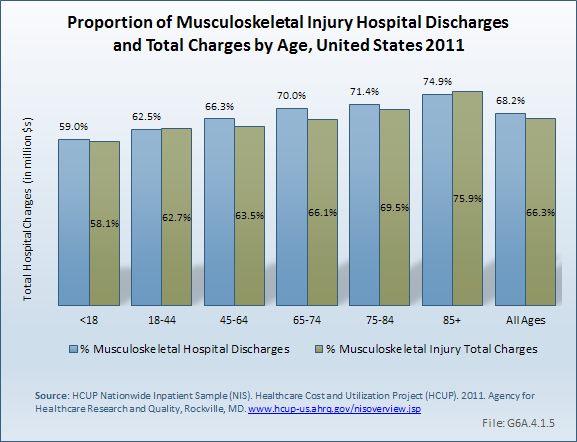 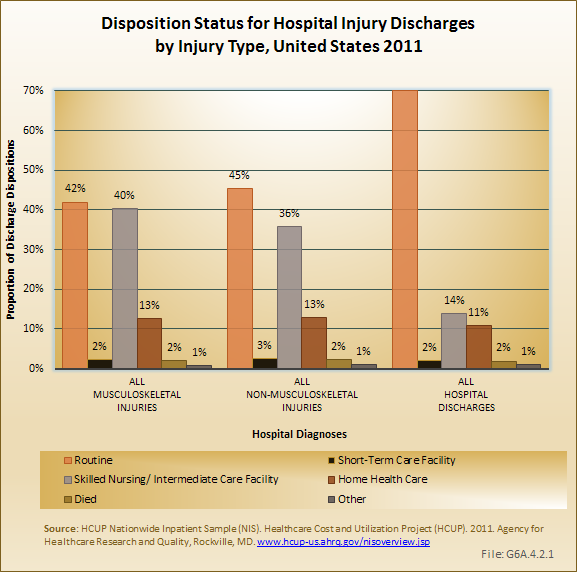 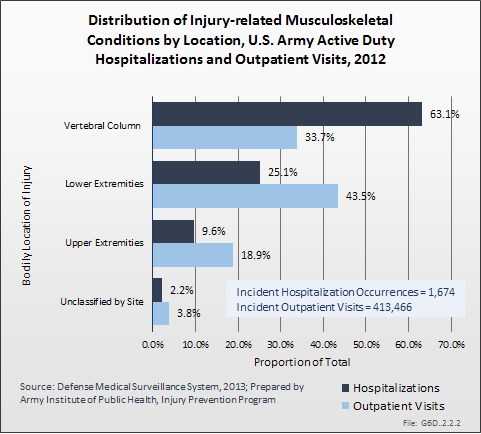 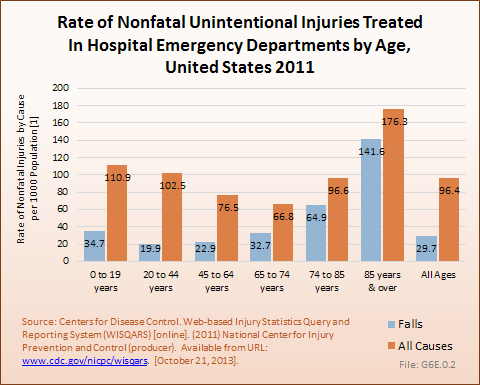 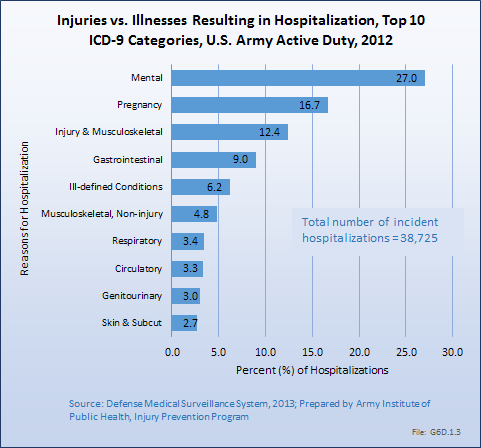 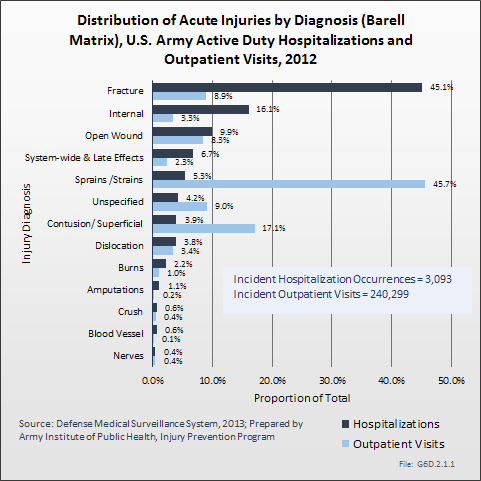 Hospital discharges for musculoskeletal injuries remain a very small proportion of overall treatment visits, indicating that most musculoskeletal injuries are not serious enough to require hospitalization.